An American foundation hands over centuries-old religious artworks. A ceremony at the Consulate General of Cyprus in New York on January 10 marked the return of six stolen Byzantine icons to the Church of Cyprus. The repatriation was amicable, with the Charles Pankow Foundation voluntarily giving the icons to the Church. The Foundation, based in Ontario, California, had consigned the icons to Sotheby's in 2005. Hearing of the proposed sale, the Cypriot government intervened and through its Washington embassy requested that the sale in New York be halted, maintaining that the lawful owner was the Church of Cyprus. The importance of the occasion was underscored by the presence of Andreas Kakouris, ambassador of the Republic of Cyprus to the United States, the Metropolitan of Morfou from the Church of Cyprus, and Martha Mavrommatis, the consul-general of Cyprus in New York, as well as Archbishop Demetrios, Primate of the Greek Orthodox Church of America. Three that were located at the Bishopric of the Holy Metropolis of Kyrenia up until the Turkish occupation in 1974.These include one depicting the Virgin Hodegetria ("Mother of God") of thirteenth or fourteenth century date from the Bishopric of the Holy Metropolis of Kyrenia, and two fourteenth-century icons from the Church of Panaghia Asinou. Painted by the same artist, these two show Saint Peter and Saint Paul. A thirteenth-century icon of Saints Andronikos and Athanasia from the Chapel of Saints Andronikos and Athanasia at Kalopanayiotis village. This was reported as stolen in the book The Icons of Cyprus, which was published in 1937. And two that have been determined to be of Cypriot style and Church property, though their exact provenience is unknown. These are a thirteenth-century depiction of Theotokos Glykofilousa ("Mother of God") and a fifteenth-sixteenth-century depiction of Gabriel. According to a joint Cypriot-Pankow Foundation statement, Sotheby's informed the Foundation of the claim. "The Pankow Foundation, after reviewing the material presented by representatives of the Government and the Church of Cyprus, came to an agreement with the Church." The details of the agreement were not disclosed, but the Foundation apparently returned the icons directly to the Church rather than through an intermediary nonprofit organization (a tactic used to facilitate antiquities returns in other cases). Some reimbursement of costs incurred by the Foundation was made, but this was not apparently a "finders" fee or compensation for the purchase price of the icons paid by Charles J. Pankow, who established the Foundation in 2004. The history of the icons after their theft in Cyprus remains obscure. The joint statement merely notes that "Mr. Pankow purchased these six icons in the 1980s either at auction or from art dealers, and later donated them to the Foundation, without knowledge of any claim against them." A little more can be gleaned from the website of the Charles Pankow Foundation. Pankow (1923-2004), a prominent engineer and builder, supported healthcare and medical research and educational institutions and "was well known as a connoisseur of the arts, having established a considerable collection of ancient Egyptian, Chinese and Russian artifacts. He amassed one of the largest private collections of Russian and Greek icons in the United States." But beyond Pankow being an avid collector of such works and the "1980s" date we just don't know. At the return ceremony, the emphasis was strictly on the cooperative nature of the agreement, and all parties clearly wished to leave it at that. There was no public discussion of the trail of the icons from Cyprus to the auction houses and dealers who sold them to Pankow. The recovery of the icons comes at a time when Cyprus is requesting that the United States continue import restrictions on Classical and Pre-Classical archaeological materials and on Byzantine ecclesiastical objects from Cyprus under the UNESCO Convention. 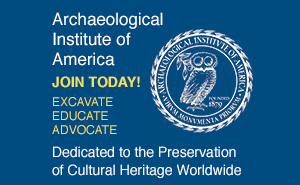 This request is supported by the Archaeological Institute of America. 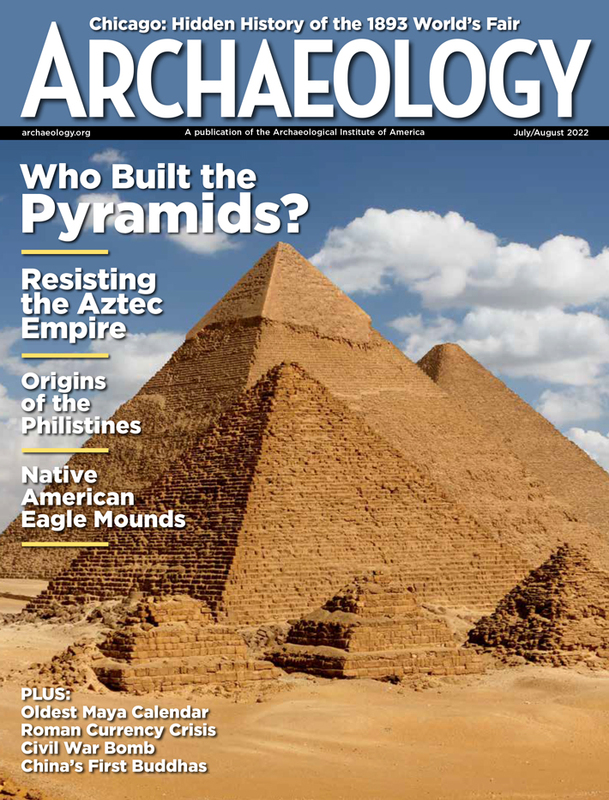 In a letter to the Cultural Properties Advisory Committee, a presidentially appointed group that reviews such requests, outgoing AIA president Jane Waldbaum states that Cyprus' "rich archaeological heritage continues to be threatened by the extensive looting and plundering of archaeological sites to feed the illicit antiquities market." Furthermore, Waldbaum notes that Cyprus has been open to numerous joint archaeological projects between Cypriot and American scholars and students and that bilateral agreements such as the one under consideration foster this cooperative atmosphere. For the full text of the letter, see www.archaeological.org.